Egypt update . . .
Transparency International, which also sent observers for the referendum, condemned “repression by state authorities” prior to the vote. The government “harassed, arrested, and prosecuted peaceful critics, closing democratic space to promote views and debate before the referendum,” said the Berlin-based anti-corruption organization. The U.S.-based Carter Center, which observed the previous constitutional vote, said it was “deeply concerned” by the “narrowed political space surrounding the upcoming referendum.” It said it would not field observers this time because “the late release of regulations for accreditation of witnesses” meant that the Center would be unable to do its job properly. The result was “the least free and fair of the five national referendums and elections held since Egypt’s military-backed dictator Hosni Mubarak was pushed from power by mass protests in February 2011,” wrote Christian Science Monitor correspondent Dan Murphy. For all Mursi’s faults – and he had many – at least there was a vigorous campaign against his constitution, by opposition groups that were not outlawed. Just as Mursi’s constitution exacerbated national divisions while promising the opposite, the same is true of its replacement. It has simply entrenched the idea of three increasingly irreconcilable Egypts: that which supports Sisi and the military, that which backs Mursi and the Brotherhood, and that which opposes both. This process will continue with the almost-certain scenario of a military figure (Sisi) as the next president, and an ever-widening clampdown on dissent. 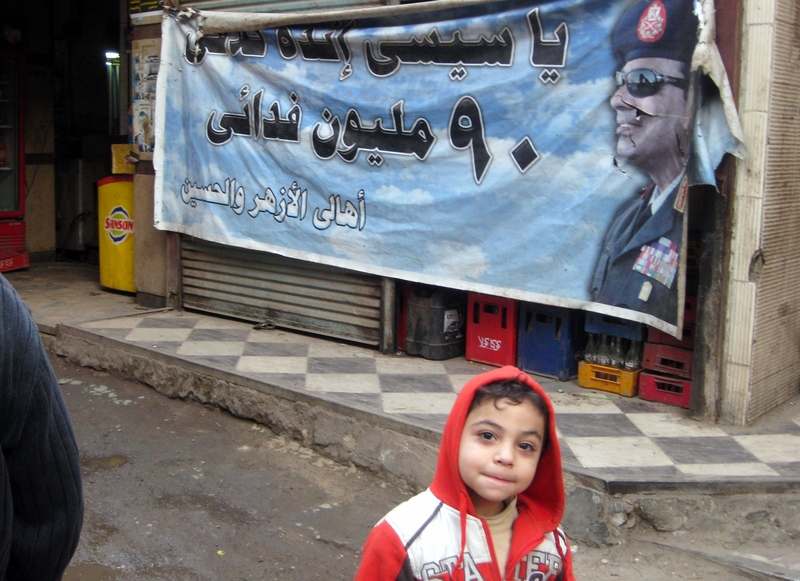 Mubarak must be getting a strong and satisfying sense of deja vu. Crucially, there is no sign that approval of this new constitution has made, or will make, any positive difference to the country’s myriad and chronic problems. If anything, deadly violence is worsening, wholesale disenfranchisement is becoming more entrenched, human rights are being trampled on by a fully resurgent police state, and the economy remains on life support. It was Greste’s fourth appearance in court, after more than 90 days in prison, and in an unusual move he was allowed to directly approach the judge and tell him why he should be freed. In words translated for the judge, Greste said that he had only been in Egypt for two weeks before his arrest and he had no connection with the Muslim Brotherhood. He also said that he had committed no crimes of violence, had no criminal record, and that he posed no threat to the people or state of Egypt. Greste told the court his only desire was to continue the fight to clear his name. Fellow defendant Mohamed Fahmy pointed out that Greste is a Christian, making any alleged support for the Muslim Brotherhood unusual. Fahmy also argued that because he himself drinks alcohol, he would not be a member of the Brotherhood. Three so-called technical experts who presented to the court were supposed to look at Greste’s stories and rule on whether they were biased towards the Muslim Brotherhood and whether they were seeking to tarnish Egypt’s reputation. However, that did not happen because there were no facilities for it in the court. In the environment of the repression by the interim government and the military itself, the Egyptian judiciary’s performance in handing down a perfunctory mass death sentence last week and otherwise failing to offer a pretense of due process to other detainees like the Al Jazeera journalists makes it hard to have confidence in their independence in overseeing a May 25-26 presidential election in which Sisi has now announced his candidacy. Let me recommend a good earlier piece by Tarek Radwan and Lara Talverdian of the Atlantic Council on the council’s Egypt Source blog, “Reflections on a Referendum.” I enjoyed getting acquainted with them in observing the referendum and they did a good job here of capturing the atmosphere at the January vote.